This healing has to do with the individual themselves and the sacredness of the human body. It uses sacred geometry, crystals, and calls upon powerful energies to help with every one of the seven layers of the human aura field. You enter into this healing with an intention that you are willing to take accountability for in your life, and leave the healing with your aura strengthened and with the empowerment to accomplish your goals. The Aura Wound Healing is a very simply done healing. 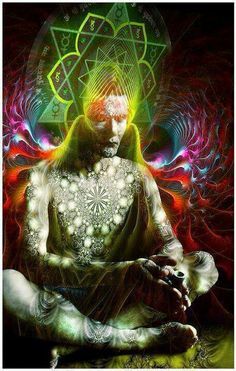 It is done by finding all the damage within the auric field and filling the wounds with love and light to mend them into their original condition. It leaves you feeling energetically whole and balanced. Best done when you're starting a new chapter in your life. Or trying to be free of substances that could be harmful to your energetic and physical body. Originating from Tibet, this session uses buddhist chants to relieve deep levels of stress and clear negative debris from the aura. It is a deep and soothing technique that leaves you feeling connected and centered within your own energy. When your aura is cleared of negative debris, and full of your own energy, you are able to travel through life without being affected by the energies of others. Even if somebody is pouring negativity towards you, your energy field will be able to deflect their energy and hold your own.